Neo was Singapore Press Holding’s youngest intern in fashion journalism at age 16, landed an internship in public relations with Gucci Group at age 18, and was offered her first job in the art market at former largest commercial gallery in Southeast Asia helmed by Swiss couple Carole and Frederic de Senarclens at age 20. At age 22, she met and learnt the ropes from a headhunter named Helen and placed senior executives in leadership positions at global conglomerates and Fortune 500s. At age 24, a dear friend Patricia encouraged her to apply to the Faculty and Research department at French business school INSEAD where Neo was presented with the opportunity for continuous engagement with leaders of today and tomorrow, and to assist a former dean in his MBA teaching until one day she found herself working from a desk inside the PhD office and was ultimately encouraged by senior executives Lucia Ballori and Vinika Rao to start her first business, Plenipotentiary — in end-to-end services for Education/ Think Tank — among other “eventful” encounters. 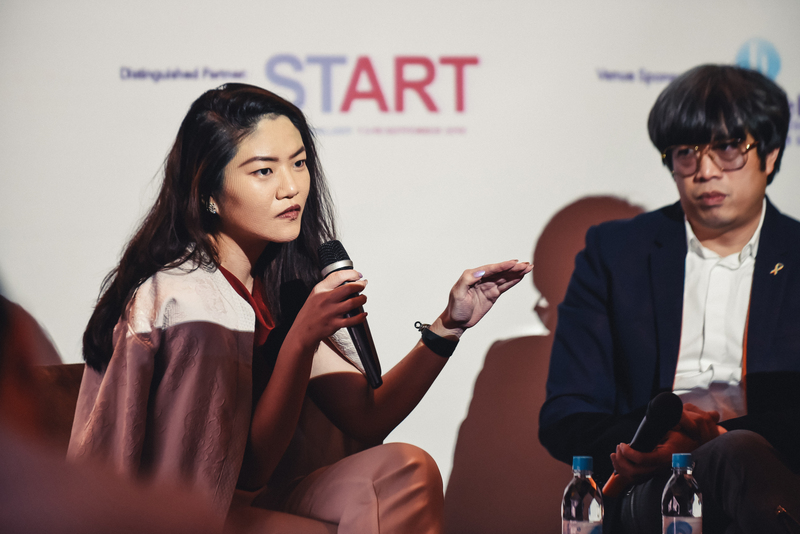 At age 25, she launched her second business endeavour, Art World Forum, a platform to bridge her experience in art and business. By age 27, she was nominated Forbes 30 under 30 Europe for Art & Culture, not shortlisted and yet not the least bit ruffled — to dive into her third project FutureHere to orchestrate innovation not just in business and society but also in humanity and spirituality through art and technology. An advocate and ambassador in causes fundamentally rooted in human rights and freedom, Neo engages and elevates individuals aged 3–73 through coaching combined with esoteric science, yogic-technology and art in her private practice. As a toddler at first day of school, I was the child going around the classroom telling the other kids “don’t cry”; offering “it’s okay’s,” to parents, caretakers and teachers at the sight of anxious, weeping classmates. I was probably age 2 or 3 but this is not my first lucid memory. Raised by grandparents, I perceive it a privilege to grow up in an environment where I could exercise independence in thought and action. Of course there were times of adversity but isn’t that how lotus flowers bloom? Backstories do not matter as much as being in the now. History is important but we should neutralise sunk costs. What happened in the past does not matter as much as what you decide to do now. By nature I am cosmologically curious but was triggered by a life event at age 16 to delve into research on a spectrum of scientific theories and religious dogmas; of natural phenomena vis-a-vis human construct to cope with loss and uncertainty. In the process, I discovered buddhism, meditation, and yoga. To rebalance my lack of control in certain areas in life, I focused on taking charge in parameters I had power to shift. Life is a spiritual practice, like a long meditation. Mindfulness is being aware that during meditation, you are in control each second in time and space. As in string theory in quantum physics, everything is connected. It is important that all sentient beings work towards this kind of accountability for ourselves and the world. Each of us has a unique true north. The more authentic you are to yourselves — the more focused you are in pursuing this life model and personalised mission — the more fulfilled you will be. As a starting point, I recommend a read on Ra Uru Hu’s Human Design. A part of Human Design addresses the effects of food on our bodies. Veganism or vegetarianism is here to stay; some body types may thrive on fruitarianism or mono diets while others may be better fuelled by steak and frites. We should be aware not to become puritanical or condescending towards alternative dietary inclinations. Seek and trust your life purpose, true north, ‘dharma’ whatever you call it — with your heart. As long as you have this end goal in mind — even if the steps to get there may not be obvious to you at this moment, the universe will show you the signs. At this point in my life, the theme seems to be freedom. I am focusing my efforts on launching the FutureHere project for innovation (breaking moulds). In recent months, I have been introduced to more Francesco’s and Francesca’s (latin: freedom) — to help me with respect to legal and real estate matters for FutureHere — than I ever did in my life. With Francesca’s help, we are looking at sites to establish our Florence office and to host our art, science, technology community projects. First site in inspection pipeline: Palazzo Tolomei in Florence. Go figure. Deliberate experiences with natural plant-based psychedelics during travel opened up multiple new dimensions. I endorse and advocate further research in psychedelics and recommend a read on Robin Carhart-Harris’ work at Imperial College London. Carhart-Harris has recently delivered a session at the World Economic Forum in Davos. I hold utmost gratitude to the women who elevated me in my career: Carole de Senarclens, Helen Shek, Lucia Ballori and Vinika Rao. In our time of sexism and misogyny at workplace around the world, these women have set the quintessential model and open door policy benchmark in elevating and increasing female representation in leadership positions, which can give women confidence to translate and integrate success from professional to personal life. 1. Play work like a positive sum game. 2. Think and communicate in inclusive terms of energy, frequency and vibration. The greater you are in strength, the speedier your shared goals is able to manifest. FutureHere is proud to be in partnership with artist Michel Platnic recommended by START by Serge Tiroche; The International Arts and Culture TIAC Group and Academy founded by Lynn Guo, Scott Breton and Liu Shiyu, TheArtMBA founded by Miguel Mayher and One Young World. A dedicated artist possesses a rare kind of accountability to life. A world wherein artists can own a presence and voice in leadership in government, business and society is a world closer to collective enlightenment. Follow our website FutureHere; Instagram @futurehere_; write us an email. We would like to invite everyone to co-create our shared future.